Divine Design, a company dedicated for more than 7 years to the transformation, sale and installation of Granite, Marble, Quartz and Onyx stone and other compact materials. In our wide variety of natural stone, you will find the one that best suits your style, needs, and budget. The quality and the final finish of our materials is the main characteristic that sets us apart from other companies in the industry. 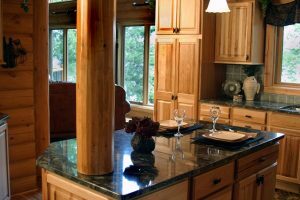 Our careful handling of stones, allows you to enjoy a unique finish once the installation of your countertop is complete. At Divine Design we install your kitchen & Bathroom countertops, but also floors, facades, tables & desks, stairs or funerary art. Commercial or residential quality affordable stone. The materials we use for our countertops are chosen based on their strength and aesthetics. We understand that it is important to combine quality with a unique decorative touch. At Divine Design we always look for the best in stone countertops. We offer our customers top quality products that ensure the best results, in finishes, durability factors and installations. We deal with the whole process. We can offer you countertops in all manner of colors. The edges of our countertops can be styled and finished in different ways. We adapt to all types of spaces, whatever their size whatever your style. We will offer you free advice to find the best materials to suit your needs and those of your space. With our natural stones, you can get the countertop that perfectly suits your style and needs. Our countertops are of the best quality, guaranteeing the best properties and functionalities. First class products at very competitive prices. Its lack of porosity prevents dirt and grime from embedding inside the stone. This allows for easier cleaning and prevents bacteria from accumulating. We are cautious with the choice of materials we use. Materials are chosen to avoid health and hygiene problems. Trust a company with more than 15 years of experience in the industry for your countertop needs. In our business, we always seek a balance between quality, design, and functionality for all our materials, to take full advantage of the particularities and characteristics of each of them. Call us or meet with us for a free estimate of your project.